im quite new to LWJGL and started with silvertigers tutorial (https://github.com/SilverTiger/lwjgl3-tutorial), which helped me a lot setting up a game-project. Before continuing with my project, i need/want to know how my GUI will work. 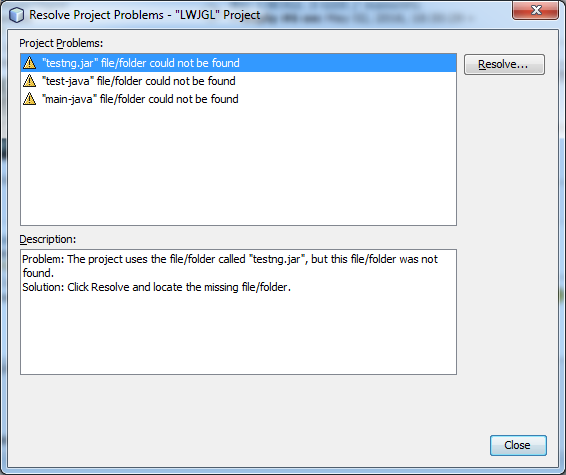 After looking for quite a while i realised, that there is currently no GUI-solution i can use with LWJGL3. Maybe i just didn't see it. So here's my Question: How do you guys do your GUI? Do you use any available library? Did you have implement the GUI from scratch on your own? What about those Lib's that worked for LWJGL 2? (Nifty, TWL, etc.) Is any of those compatible with the current LWJGL version? I am prepared to implement it on my own if i need to, however i'd like to know if there is a working solution. Also: LWJGL3 got nanoVG recently and i would like to learn it and integrate it in my existing project. Are there tutorials or examples available for it? I just need to know where/ how to start. I dont know of any GUI library that currently works with LWJGL3 although I wouldnt say there is none. As far as I know LibGDX has some kind of build in GUI functionality and it uses LWJGL under the hood so perhaps you could make it work with your project. The LWJGL 3 repository has simple demos for most APIs, including demos for NanoVG. I wanted to give a look to that binding. I think there currently are no preconfigured project files for Netbeans. But it'd be great if you could provide some! There are preconfigured project files for Netbeans. The issue here is, you need to create a Java project instead of a Gradle project. It will then use the ant script for building. Oh sorry, you're right! And you even provided them. Could've just looked..
- Make sure JAVA_HOME points to a JDK 8. - Run Visual Studio's "vcvarsall.bat". If the JDK is 64-bit, use "vcvarsall x64", otherwise "vcvarsall x86". Visual Studio Community 2015 is the recommended version. The above should build everything and run the LWJGL tests. Then you should be able to set everything up in Netbeans (except Kotlin, for which there's no plugin yet afaik).